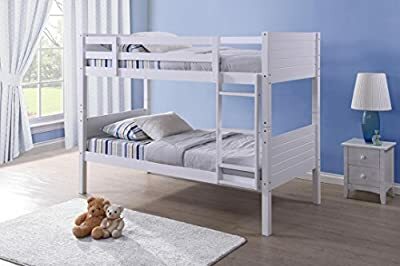 The Milano Bunk Bed presented in a beautiful white design in a very traditional style that you and your children will love. The bed comes with an adjustable ladder which makes it easier to climb up to the top of the bed. The bed is constructed using high quality materials for increased stability and sturdiness and is finished in white. The coating not only gives a great look it also protects the wooden frame. 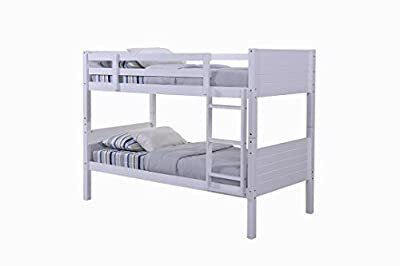 Also, the bunk bed can be split in two single beds if necessary. 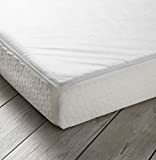 The solid slatted base gives firmer support to your mattress. 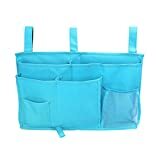 The bed does come flat packed but can be easily assembled using the easy to follow instructions provided.